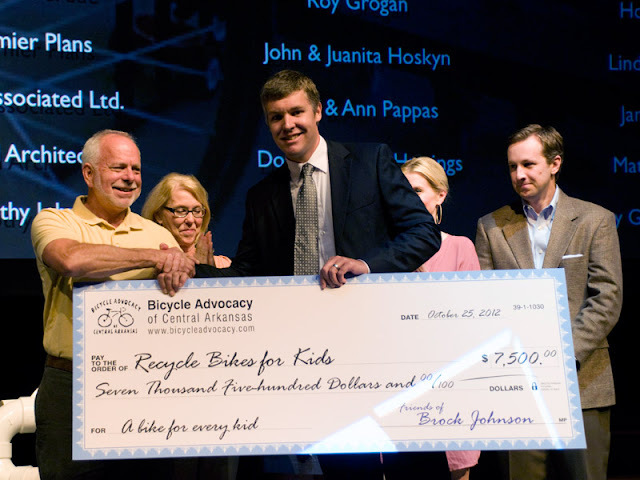 At Garver’s recent annual meeting, members of Bicycle Advocacy of Central Arkansas (BACA) presented a $7,500 check to Ron King and Recycle Bikes for Kids. Members of the community donated the money in memoriam of Garver President and CEO Brock Johnson who passed away in August. Johnson was a cycling advocate and huge supporter of Ron’s program. 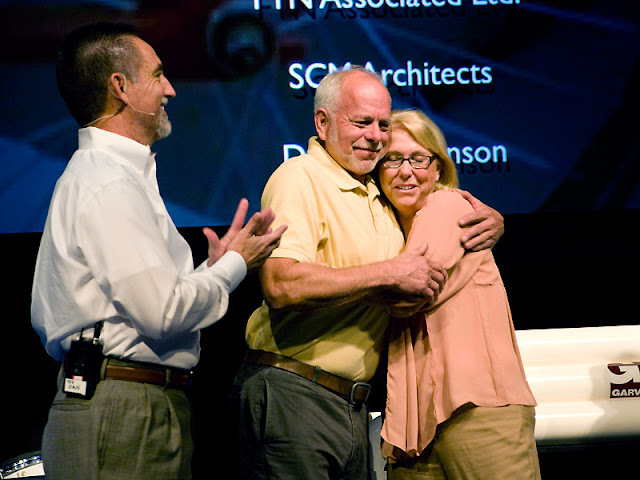 Paula Johnson, Brock's wife, gives Ron King a hug after a $7,500 donation was made to Recycle Bikes for Kids in Brock's memory. Recycle Bikes for Kids collects unused bicycles and bicycle parts, refurbishes them through volunteer labor, and distributes them to children and adults in the community. Recycle Bikes for Kids has given away more than 750 bikes this year, and they expect to give away hundreds more before the year ends. Since 2008, Recycle Bikes for Kids has given away more than 3,600 bicycles. Volunteer workdays are Tuesday evenings and Saturdays. Check out their Facebook page to contact Ron for more information or to make a donation.